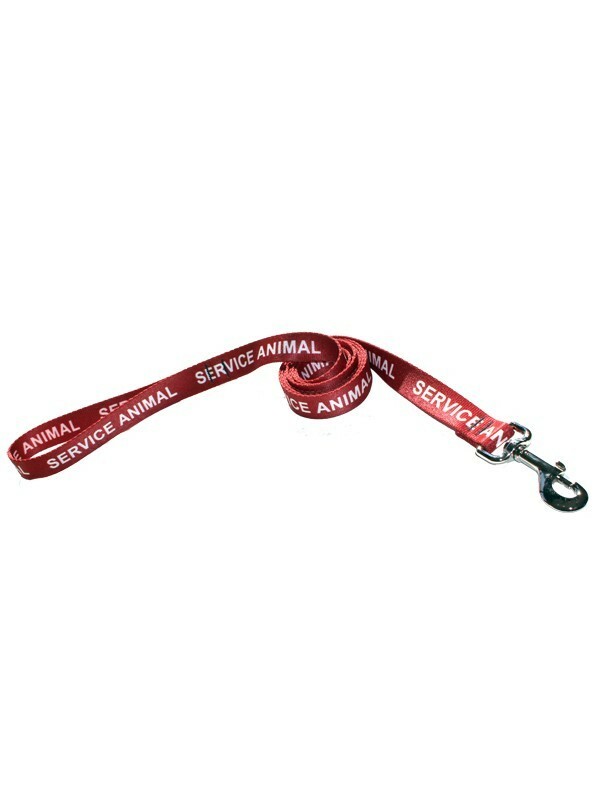 Don't be fooled by basic appearances: Our 4-foot red service dog leash completes more tasks than just walking the dog. 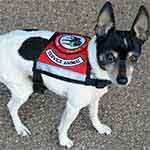 This leash also identifies your dog as a service dog from 20 plus feet away. The letters won't wear, peel, or crack. Period! 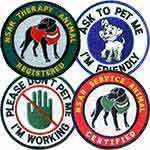 Take advantage of our 30-day No-Risk money back guarantee! 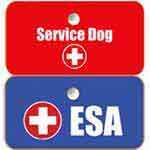 Eliminating confusion and confrontation when accompanied by your service dog is important when it comes to having a service dog: no one likes the hassle of unnecessary and embarrassing questions and encounters. 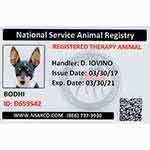 Our high quality, 4-foot sublimated service dog leash is terrific way to help the public immediately recognize your dog's status. 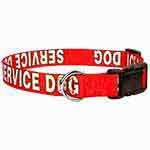 The NSAR red service dog leash with white lettering is a 4-foot leash that makes it easy to keep your assistant close to you in public. 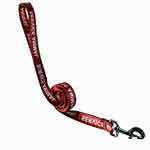 Proudly made in the USA, our leash is guaranteed for 12 months, so order with confidence!